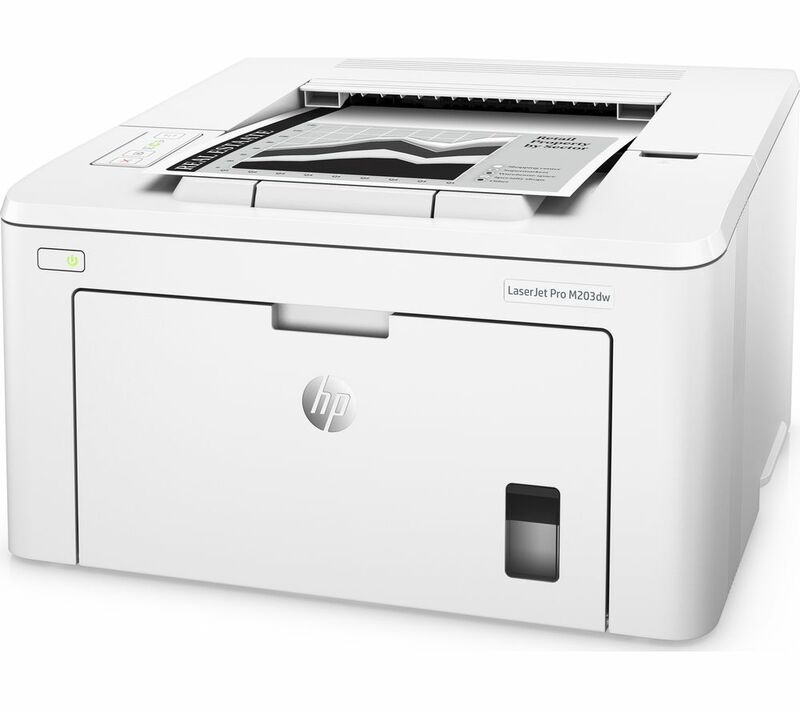 Keep up with the rate of your business and projects with the HP LaserJet Pro M203DW Monochrome Wireless Laser Printer. 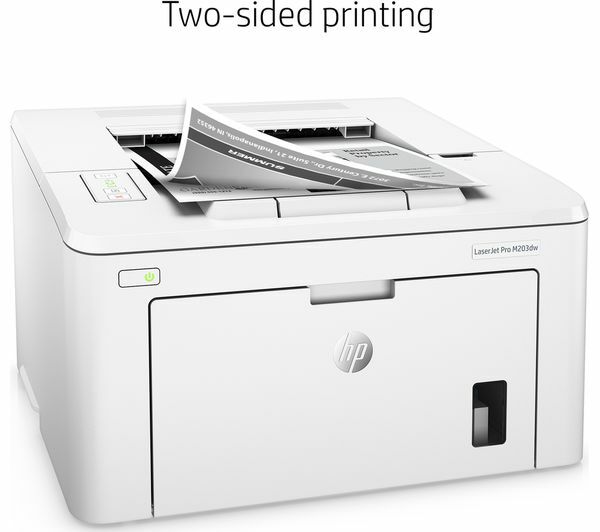 Fast two-sided printing lets you save resources and get things done in less time – take your documents and get going. 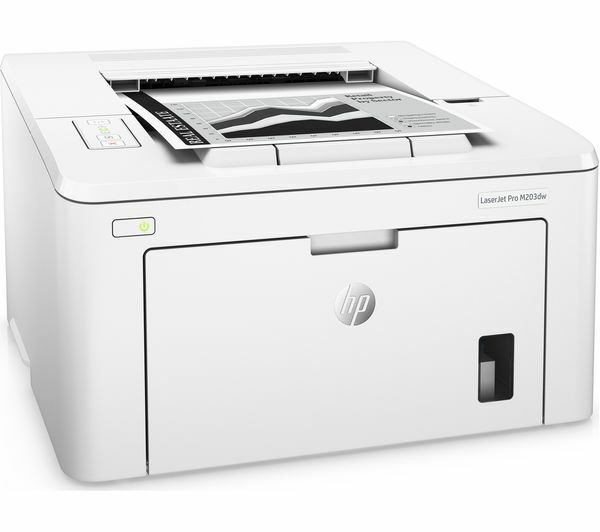 The printer can output first pages in as little as seven seconds. And it still manages to save energy with smart HP Auto-On/Auto-Off Technology. 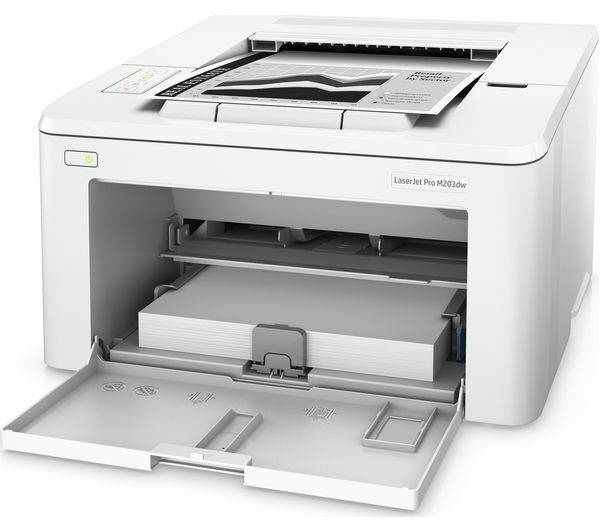 The LaserJet Pro M203DW helps you stay efficient with plenty of wireless printing features – get things done remotely and when you're in a hurry. 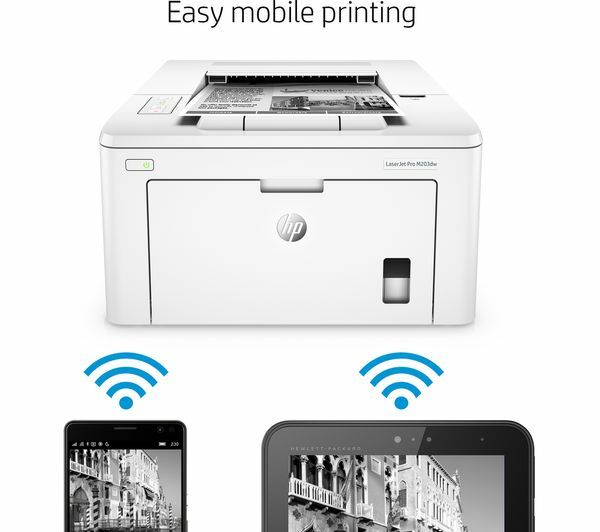 AirPrint lets you print from your iPhone or iPad, automatically scaling jobs to the right paper size. 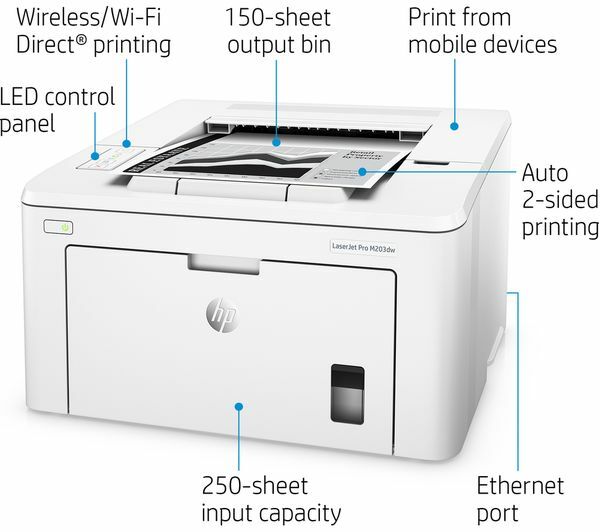 You can even print straight from your mobile to this WiFi Direct printer without having to access your company network. 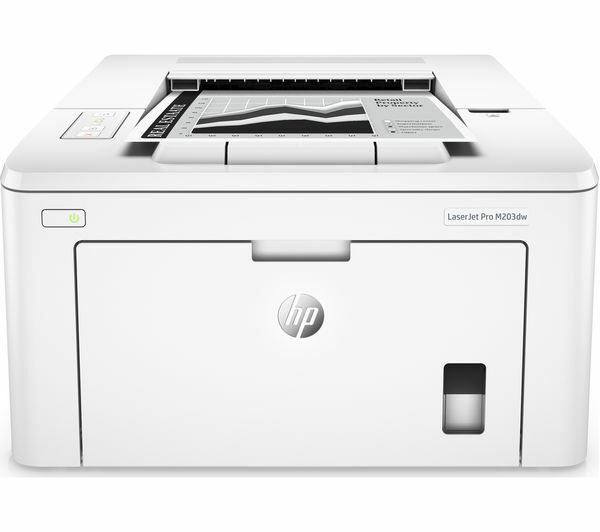 HP ePrint and Google Cloud Print 2.0 let you email documents direct to the LaserJet Pro – use your smartphone, tablet or laptop for total printing convenience. 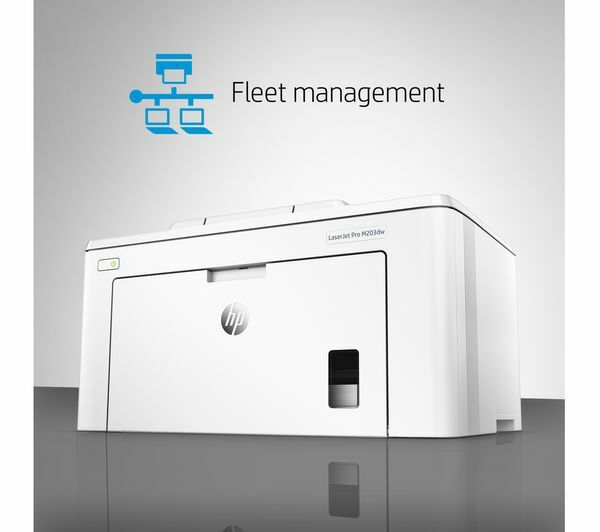 Enjoy full control over your printer, devices and settings with HP Web Jetadmin. 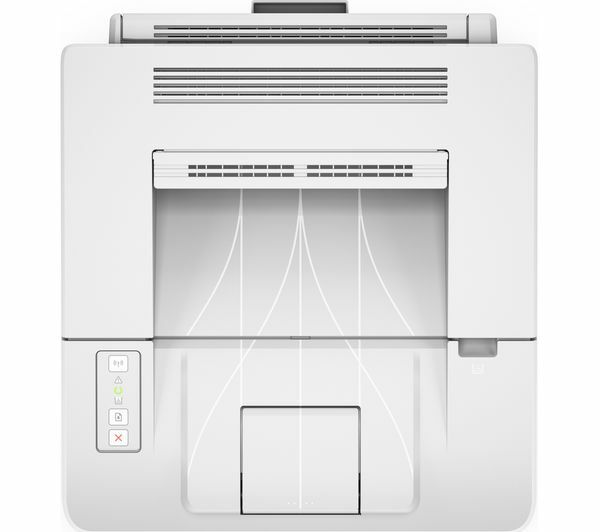 It lets you centralise your print operations, so you can be as efficient as you need. 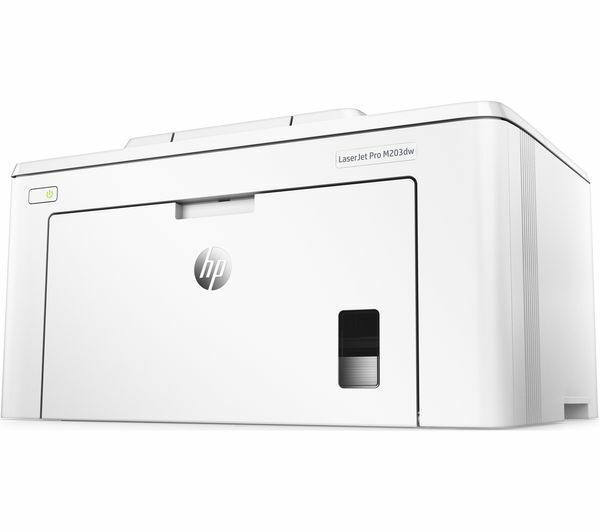 The system recognises new devices with remote discovery and monitoring, so you can expand and improve the way you print. There's even a full security interface that lets you apply policy-based protection features across your print network. 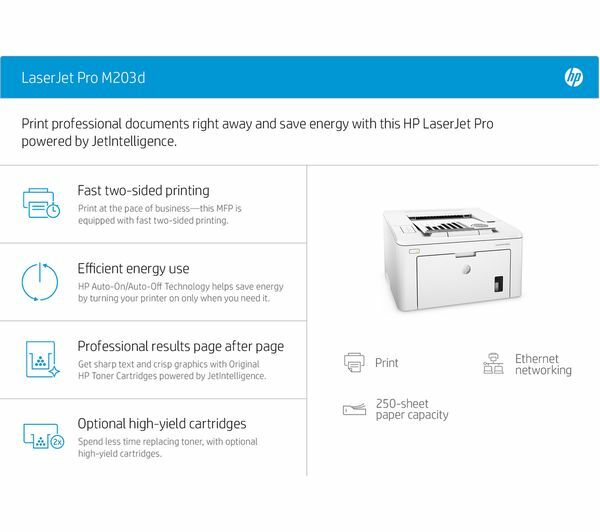 Use original HP Toner cartridges with JetIntelligence in your HP LaserJet Pro M203DW Monochrome Laser Printer for precise, professional-looking results. Text looks sharp with deep blacks and crisp images. 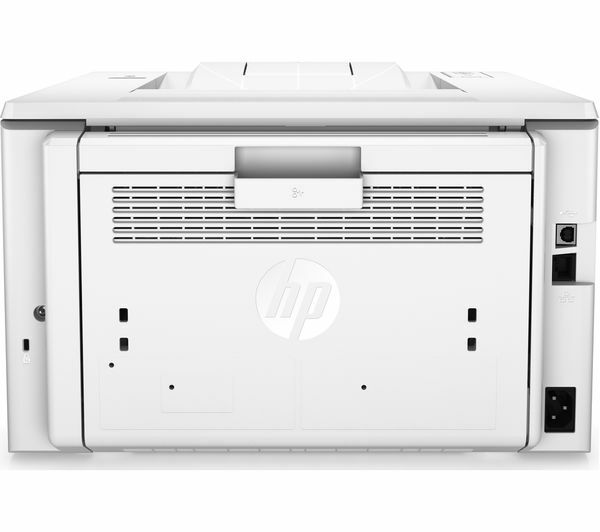 The printer helps you protect your business from unnecessary reprints and inconsistent quality with anti-fraud authentication – so you know you're using the right cartridges. it broke the very first time we replaced the cartridge, far too plasticy.